Skull and neck bones of a pliosaur at the Smithsonian National Museum of Natural History. 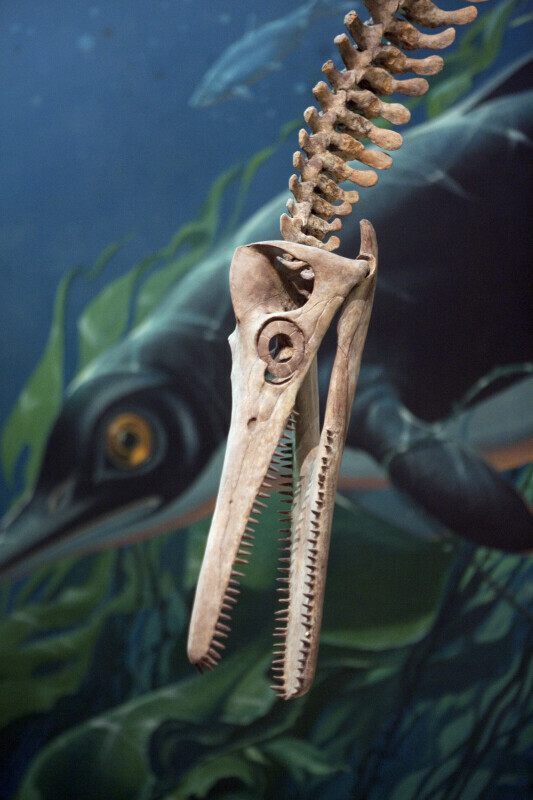 The pliosaur differs from its cousin the plesiosaur by having a shorter neck and larger head. WARNING: You are about to download a 28.0 MB TIFF!